I got this from the Perfect Pear blog by Lauren. Love it!!! Anyways I thought this was super neat because I'm a Bubble tea addict now so I thought I would share it with you. Hi there! If you asked me right now in this very moment what my favorite drink is, it would most definitely be a close tie between green tea and bubble tea, although I think bubble wins! I've been getting bubble tea for a few years and pretty much fell in love with it right away especially because its so fun to eat! I thought it would be super hard and complicated to make, but its really not! Here's how I make it, three different ways! 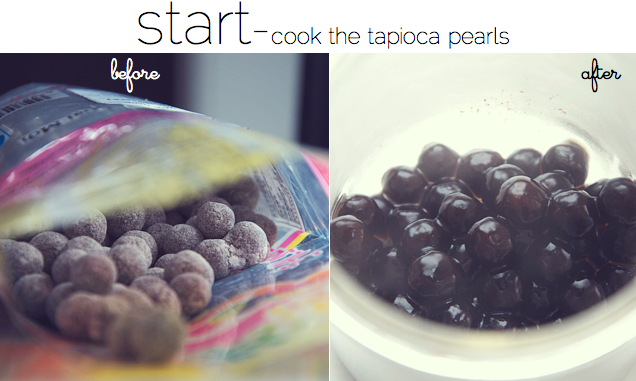 The tapioca pearls are probably what makes it appear so hard to make because their not your everyday ingredient! That's okay, just go to your nearest oriental supermarket and pick up some jumbo pearls! 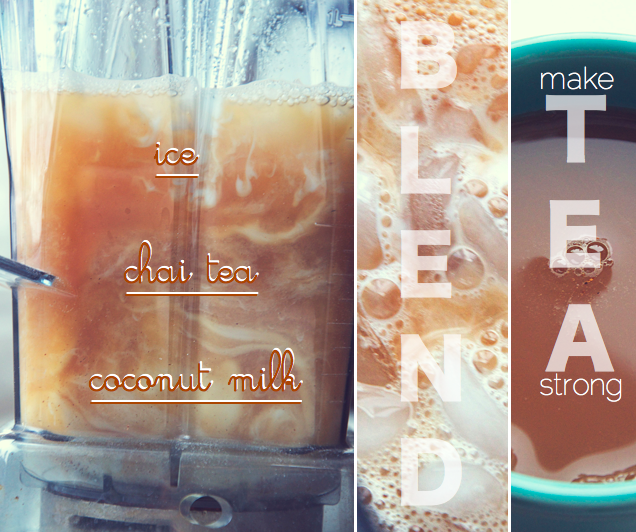 STEP ONE: make your chai tea really strong so the flavours still there when you add the ice and milk. Then add your sugar to the tea and let dissolve. STEP TWO: mix around equal parts of ice, coconut milk and chai tea. STEP THREE: blend 'er all up! STEP FOUR: add bubbles to bottom of glass and pour mixture in! STEP ONE: chop up banana and pineapple, making sure not to get the coarse bits of the pineapple. 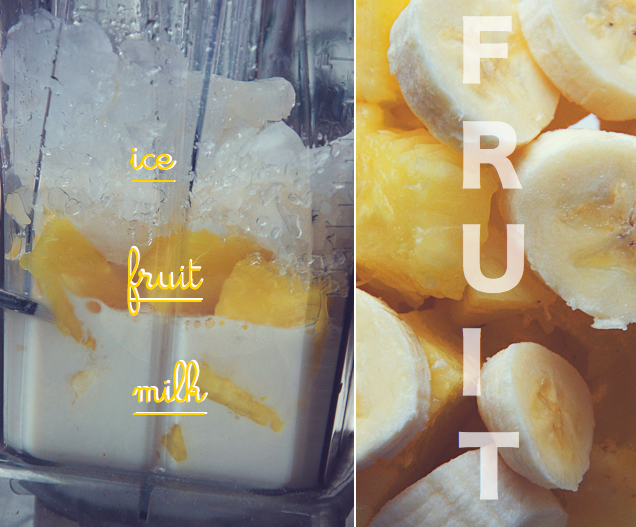 STEP TWO: add around equal parts on milk, ice and fruit to your blender.STEP THREE: blend 'er up STEP FOUR: add bubbles to bottom of glass, pour in mixture and enjoy! 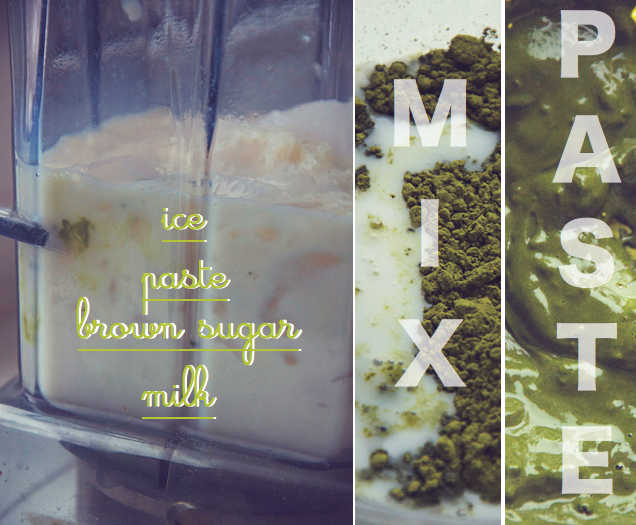 *the matcha can also be found at oriental supermarkets! It has a lovely earthy taste and is great in smoothies with a few pieces of strawberries! 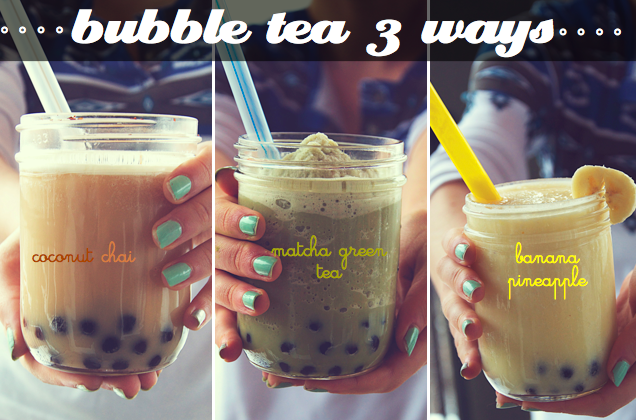 *I'd have to say this one is my favourite bubble tea!